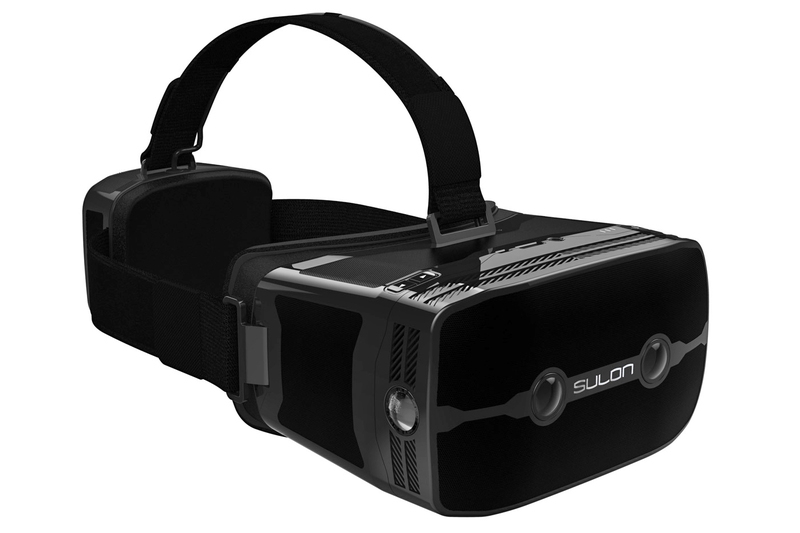 The Sulon Q delivers virtual reality without wires or a phone. The ideal virtual reality headset doesn't need anything else to work its magic: no wires, no tracking sensors, no smartphones. That's been largely elusive, but Sulon Technologies thinks it's on the cusp of making this work. It just provided a sneak peek at the Sulon Q, a VR and augmented reality headset that operates entirely on its own. It combines a quad HD OLED display with AMD computing hardware (an FX-8800P chip with Radeon R7 graphics), audio and spatial processing to do everything you need on your noggin. In theory, you only have to don this Windows-based device to start wandering virtual worlds -- and you won't get caught up in cabling while you're at it. Sulon isn't discussing pricing for the Q just yet, but it should be available in late spring. Whether or not it works as well as promised is another matter. How well it works will depend on the software you can use with it. And while the Q is pitched as "lightweight," strapping a computer to your head is likely to be more burdensome than wearing a focused device like the HTC Vive or Oculus Rift. If Sulon pulls this off, though, it'll be much easier to understand for VR newcomers who may not relish the thought of buying an expensive PC (or connecting to any device) just to get started.